Discussion in 'SWNN News Feed' started by SWNN Probe, Apr 9, 2019. 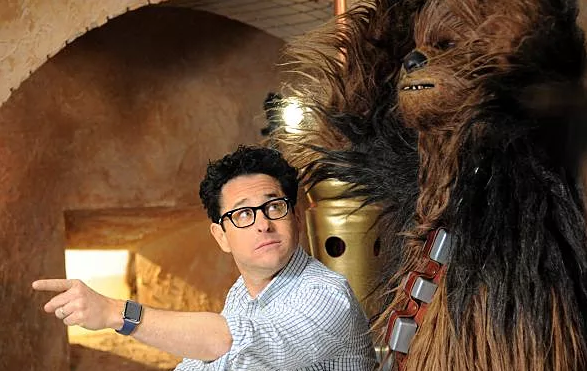 In a recent interview with American business magazine Fast Company, co-writer and director of Star Wars: Episode IX, J.J. Abrams, took a moment to talk about his experience with the upcoming Star Wars sequel. Abrams discusses his initial hesitation in taking on the final installment of the three-trilogy-spanning saga, the importance of hiring co-writer Chris Terrio, and his overall sense of satisfied accomplishment about what he feels he and his team have achieved with their conclusion to the beloved saga. Fast Company: How does it feel to be back after being away so many months filming Star Wars: Episode IX? 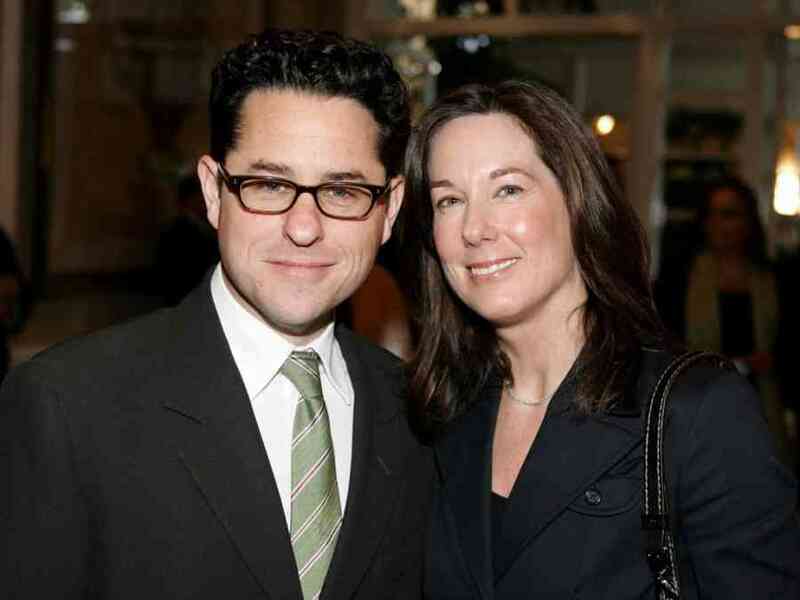 J.J. Abrams: It’s great for me—especially, and I said this at the [all-hands] meeting, just to see all these faces. Some people [at the company] were here just when I was leaving, they just got here, and then a ton of people have shown up since I’ve been away. So to come back to this home, business home, professional home, and have a fairly high percentage of the people be brand new faces, it’s a surreal thing. Of course. I’ve known about it intellectually. I was prepared for it. But you show up, and all of a sudden there are these like flesh and blood people with life experiences and points of view and like, I’ll hear things before so I’ll kind of know a little bit about everyone, and then they’re all the interns, too. And then to get to see them in person and feel like, wow, this is really . . . Katie (McGrath, Abrams’s wife and co-CEO of Bad Robot) and all the department heads and Brian (Weinstein, Bad Robot’s president and COO), they’ve done such a good job bolstering the team, and it’s great to come back. I mean, obviously, the simple answer is, I’m just happy to see my family again. It’s been so long. FC: How did it feel when you were suddenly brought on to direct Episode IX after Colin Trevorrow departed while the film was still in development? Abrams: I wasn’t supposed to be there. I wasn’t the guy, ya’ know? I was working on some other things, and I had something else that I was assuming would be the next project, if we’d be so lucky. And then Kathy Kennedy called and said, “Would you really, seriously, consider coming aboard?” And once that started, it all happened pretty quickly. The whole thing was a crazy leap of faith. And there was an actual moment when I nearly said, “No, I’m not going to do this.” I was trepidatious to begin with, getting involved, because I love Star Wars so much and felt like it was . . . . It was almost, on a personal level, a dangerous thing to get too close to something that you care that much about. And there was a moment when I literally said, “No,” and Katie said, “You should do this.” And my first thought was, has she met someone? And then I thought, she’s usually right about stuff. And when she said it, I think that she felt like it was an opportunity to bring to a close this story that we had begun and had continued, of course. And I could see that even though the last thing on my mind was going away and jumping back into that, especially with the time constraints that we were faced with . . . .
Abrams: To have no script and to have a release date and have it be essentially a two-year window when you’re saying (to yourself), you’ve got two years from the decision to do it to release, and you have literally nothing . . . . You don’t have the story, you don’t have the cast, you don’t have the designers, the sets. There was a crew, and there were things that will be worked on for the version that preceded ours, but this was starting over. And because this was such a mega job, I knew at the very least I needed a co-writer to work on this thing, but I didn’t know who that co-writer would be. There was nothing. 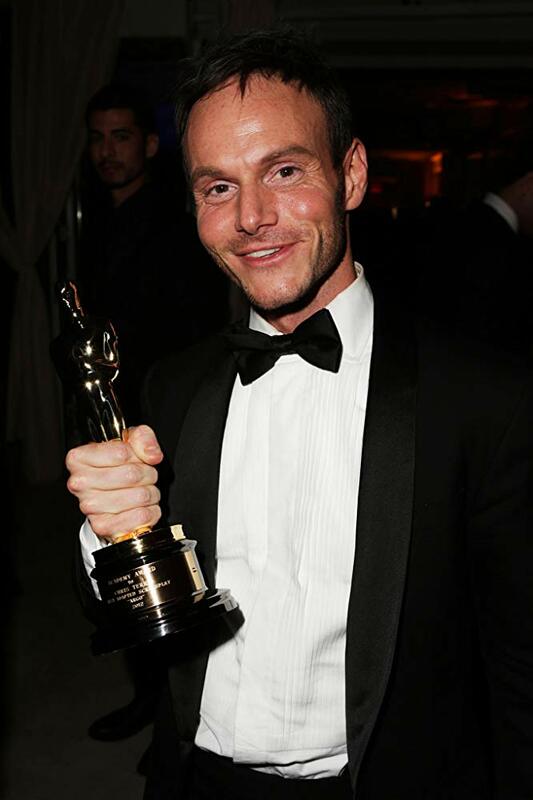 So the first thing I did was reach out to a writer who I’ve admired for years, Chris Terrio, who I didn’t really know, to say, “Listen, would you want to write Star Wars with me?” And he screamed. Abrams: Probably a bit of both, but I think definitely excitement. And what I realized in that moment was, I hadn’t been aware until then that I needed to work with someone who would scream at the prospect of working on Star Wars. Because I had been through the process, and I was looking at brass tacks: This is what it’s going to take, this is the reality of it. And he was looking at it sort of childlike: Oh my God, I can’t believe we get to play in this world, which I needed to be reminded of. I needed that point of view, because that’s not where I was. Of course, I was excited about what we could do, but I was acutely aware of how little time we had to do a fairly enormous job. So to answer your question, I went into it in an all-in leap of faith, aware that Katie was very supportive of this thing and felt it was the right thing. And so her divining rod of what’s real and what’s right was a comfort, despite her not being in London (where most of the shooting took place). And it was just an immediate immersion into the what-ifs of it all, which is the fun of it, but also the pressure of it. And I’m not complaining when I say this, but it was having to make decisions based on gut. When Damon Lindelof and I created Lost, we had essentially 12 weeks to write, cast, shoot, cut, and turn in a two-hour pilot with a big cast. And that was a crazy short amount of time. The benefit of that was, we didn’t have time to overthink. There wasn’t time to get studio notes that end up sometimes taking you in lateral positions and making you adjust things—death by a thousand cuts—to a place where something doesn’t resemble what it should be, and you can’t remember why you got there or how. So the good news was I was jumping in with a writer whom I admired enormously; with Kathy and Callum Greene, a producer whom I’d never met; Michelle Rejwan, who had been my assistant, and whom Kathy had hired to work with her as a producer. But it was a completely unknown scenario. I had some gut instincts about where the story would have gone. But without getting in the weeds on episode eight, that was a story that Rian wrote and was telling based on seven before we met. So he was taking the thing in another direction. So we also had to respond to Episode VIII. So our movie was not just following what we had started, it was following what we had started and then had been advanced by someone else. So there was that, and, finally, it was resolving nine movies. While there are some threads of larger ideas and some big picture things that had been conceived decades ago and a lot of ideas that Lawrence Kasdan and I had when we were doing Episode VII, the lack of absolute inevitability, the lack of a complete structure for this thing, given the way it was being run was an enormous challenge. However, to answer your question—truly, finally—now that I’m back, the difference is I feel like we might’ve done it. Like, I actually feel like this crazy challenge that could have been a wildly uncomfortable contortion of ideas, and a kind of shoving-in of answers and Band-Aids and bridges and things that would have felt messy. Strangely, we were sort of relentless and almost unbearably disciplined about the story and forcing ourselves to question and answer some fundamental things that at the beginning, I absolutely had no clue how we would begin to address. I feel like we’ve gotten to a place—without jinxing anything or sounding more confident than I deserve to be—I feel like we’re in a place where we might have something incredibly special. So I feel relief being home, and I feel gratitude that I got to do it. And more than anything, I’m excited about what I think we might have. The above is only a small portion of the original interview, focusing on the Star Wars related bits of the discussion. For the full interview, including Abrams' comments on his company (Bad Robot) and his recent deal with Apple, click HERE. So excited to see this sequel trilogy as a whole story. I have not been shy about declaring it my favorite trilogy so I hope IX can keep this going. I have that unjustifably good feeling that this movie is going to be really special. He seems like a really nice person. Can't wait for IX. I'm a bit concerned about them "rushing" it, but for what it's worth; so far we haven't heard any production drama rumors like with Solo. "While there are some threads of larger ideas and some big picture things that had been conceived decades ago and a lot of ideas that Lawrence Kasdan and I had when we were doing Episode VII, the lack of absolute inevitability, the lack of a complete structure for this thing, given the way it was being run was an enormous challenge."